Guts casino is a sports betting site, a sportsbook, that also operates as a casino. Guts is powered by everymatrix software and as a result of this features software from NetEnt, Micrgogaming, Quickfire, NextGen, Betsoft and IGT as well as others. 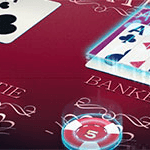 The casino is very smart looking with bold horizontal bars of red and black breaking the page up into its constituent parts and is very easy to navigate and use with a clearly signposted account area, customer service area and games. Guts claim that they are simply trying to make the ultimate online casino and sportsbook, which is quite a hefty target. First glances will definitely make you think they might have a chance. You can play in a plethora of different languages including English, Finnish, Dutch, Norwegian and Swedish and can also place wagers in a variety of currencies; Australian and Canadian Dollars, Danish Krone, Euros, Great British Pounds, Norwegian Kroner and of course US Dollars, making this one of the most accessible games around today. 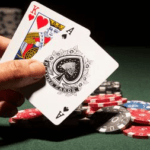 No game changing casino would be complete without a good selection of promotions and Guts casino certainly doesn’t disappoint on the extra spins. Firstly, check out your country section here at free-spins.org to claim extra spins upon sign-up. That is, if your country are enabled to the free bonus. Also, when you sign up and place your first deposit you will receive a big old chunk of extra spins to help you on your way. Lovely! 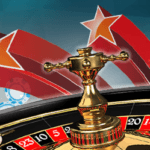 The especially generous extra spins promotions aren’t the only good thing about Guts casino, they also have a good amount of balance bonuses to keep you happy. When you make you first deposit you will receive a big bonus to bump up you balance, up to a limit of course. Then again the second time you make a deposit. You might think that would be that but you would be wrong. As it happens if you make a deposit on Monday you will receive another bonus, up to a limit again of course, but it’s definitely a nice way to get over your Monday blues. Guts really are one of the most generous casinos out there, couple that with the great design and we might be onto a winner. The mobile appendage of Guts casino is just as smart looking and smooth operating as the full desktop version and it hosts some of your favorite games ready for you to play on the move, wherever you want. The games on the mobile version are also played directly from your browser with no need to download any software, thanks once again to the good developers we have lending their talents to this platform. As you would expect in what appears to be such a well rounded game so far, the game selection and quality is excellent. With more than 700 games on offer at the time of writing this Guts offers one of the largest catalogues of games in the market and the quality is fantastic with some of the absolute favorites holding a place, Blood Suckers for example. It’s not just slot games on offer though, there are also a big selection of table games. 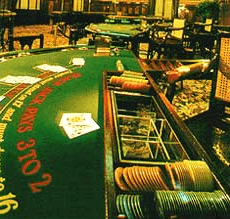 You can choose from Blackjack, Roulette, Three card Poker, Oasis Poker, Pai Gow Poker and Casino hold ‘em and loads more. You also have access to live casino games such as Blackjack Baccarat and Roulette that are all broadcast live from a studio. Thanks to predominantly NetEnt and Microgaming there are some massive progressive jackpots to get excited about as well. Some of them reaching well into the millions. The support at Guts casino is pretty much in line with other casinos, with a live chat function and email support address. The live chat responds almost immediately to almost any queries and best of all, it is genuinely 24/7, open 24 hours a day, seven days a week. This alone probably makes up for the fact you cannot ring Guts casino as they do not publish a number, but to seal the deal you can request a call back via email and they tend to ring back within an hour or so. You don’t spend a penny trying to ring them and they make all the effort, any time of day or night. As it says above, you can play and deposit in a massive number of different currencies on Guts casino and the really good thing is you can do so in a massive number of different ways. You can pay by direct bank transfer, major credit and debit cards, EUteller, GluePay, Neteller and several more. You can also withdraw money through all of these methods and the withdrawals and deposits are both made very quickly.